Australian Melodic riff-orientated Death Metal! Children Of Perdition was founded in 2000 by David Sinclair-Smith (former bassist and vocalist of Wollongong Death Metal bands Galgotha and The Kindred). With numerous line-up changes causing the band limitations as a performing live act, at the end of 2015 David decided to record songs playing all of the instruments and vocals himself (drums were programmed) as a cathartic process. 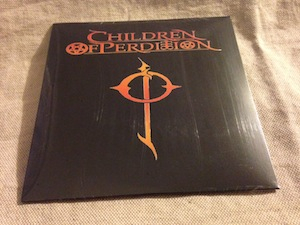 This recording became the debut album Children Of Perdition containing 18 tracks (including some songs originally performed by Galgotha and The Kindred as they were originally envisioned). In late 2015, Children Of Perdition found a stable line-up with guitarists/keyboardists David Murphy, Ben Murphy, drummer Brendan Dyson and David Sinclair-Smith taking the role of vocals and bass guitar.